Sections in PixFort builder are composed of elements. These elements contain all different components in your page (title, text, image, form, video...), and the element could contain more than one component (i.e. 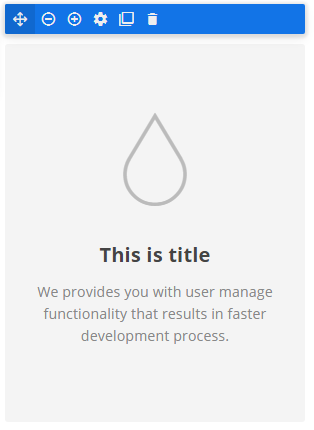 icon + title + text). 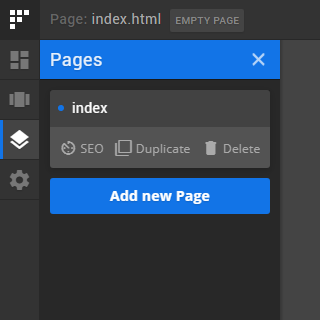 The pages in PixFort builder are based on Bootstrap grid-system (12 columns), that means each element in the page has a specific size based on its columns, this size can be changed by adding or removing columns from the elements (click on - or + icon in element's bar). 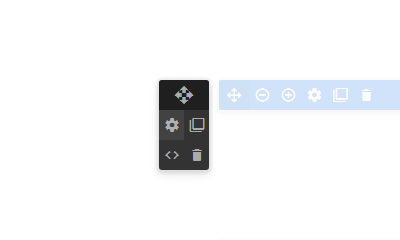 Change element's position by continuous-clicking on Move icon (first icon). Change element's size ( - or + icons). Access to element's settings (background, animation, padding...etc). Text: just click on the text and start writing. Special components like forms, videos.. can be edited via element's blue bar.